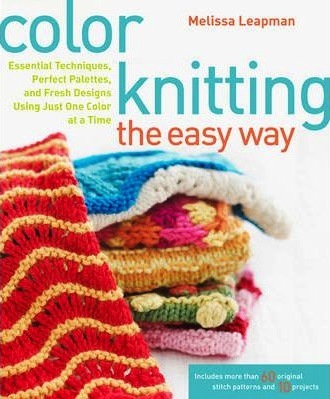 So, the other day at work, I was covering some of our shop copies of the books that we sell, and one of those was Color Knitting The Easy Way, by Melissa Leapman. Lala from The Knit Girllls had reviewed it on their podcast a while back and had spoken very highly of it, so I flicked through, and now, I want it badly! The funny thing is that two days later, I can barely remember any of the content so much as that’s all been overshadowed by my singular intent to own it. I’m going to flip through again next time I work just to make sure that I do really want it, and then I think I’ll pop it into my Book Depository cart. I’ll report back my findings too. Confessions Of A Twisted Knitter. Also, Valentine’s.